Awesome parties. Philanthropic events. And lots of food. 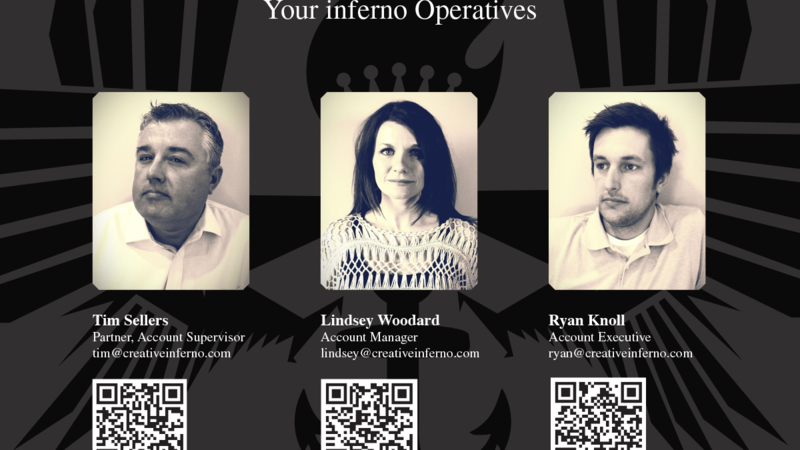 Internal events keep the inferno team fired up – but they’re also a chance to hone our skills. 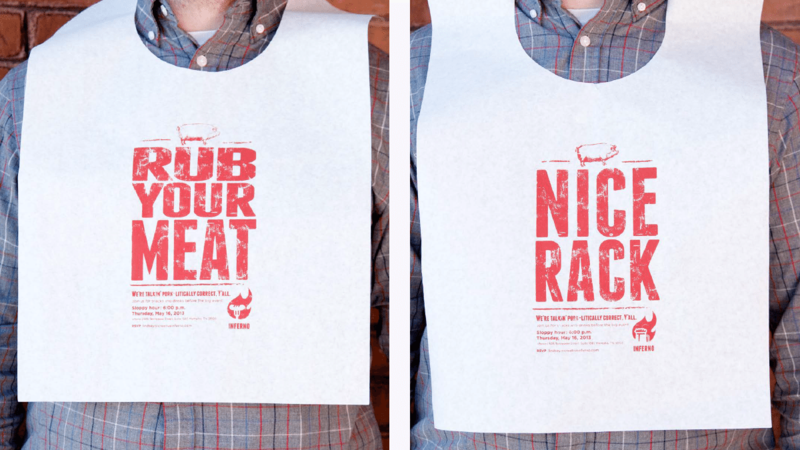 Take a look at some of our internal work to see how we keep the creative fires burning at home. We don’t just like to serve our clients – we like to party with them. And since we’re less than a block away from an historic Memphis landmark, we invited our clients to enjoy a happy hour with our team during the Memphis in May World Championship Barbecue Cooking Contest (or, to our fellow Memphians, BBQ Fest). 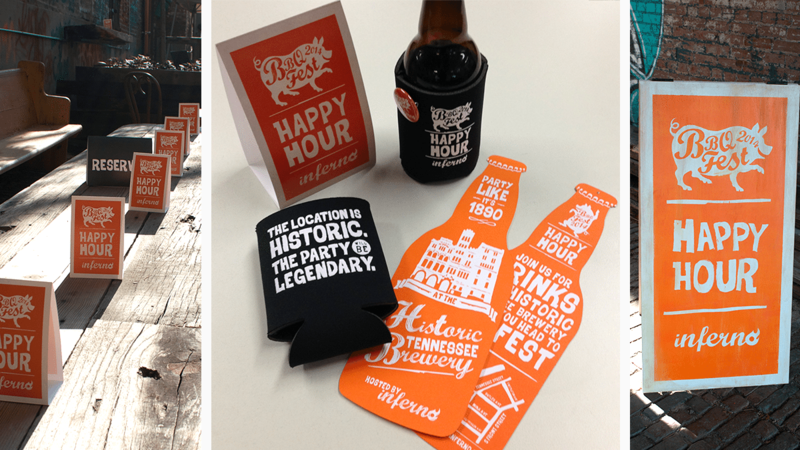 Our invitations highlighted the historic locale and the nearby BBQ festival, and they included branded beer koozies for the event. During the 2013 BBQ festival, we invited clients to our office for a “Sloppy Hour” of drinks and snacks before they hit Riverside Drive. 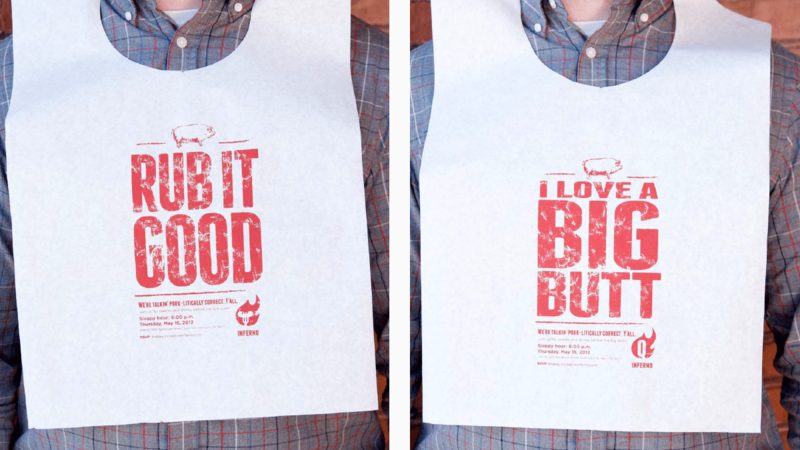 And we know how things can get messy during the festival – which is why we printed our irreverent invitations on bibs for our guests. 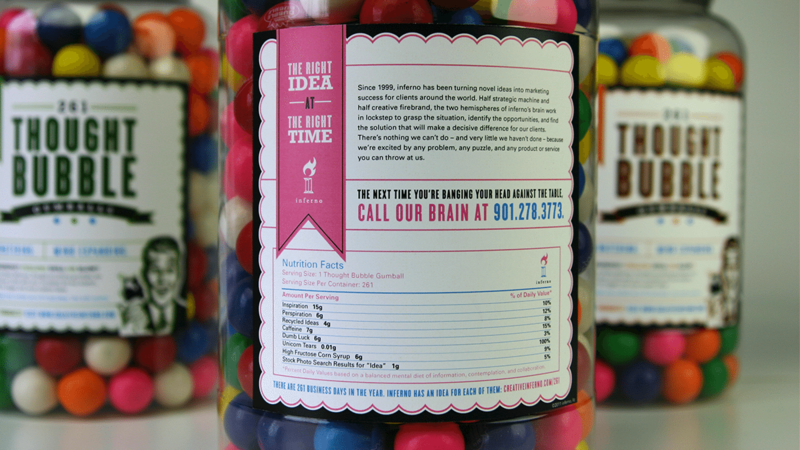 We created this thought-full gift for current and potential clients. 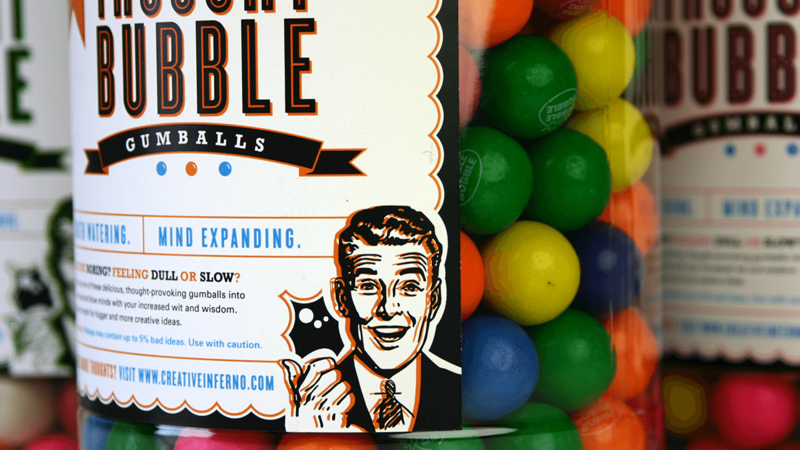 The inferno Thought Bubble Gumballs allowed us to promote our services in a way that was both attention-grabbing and delicious. 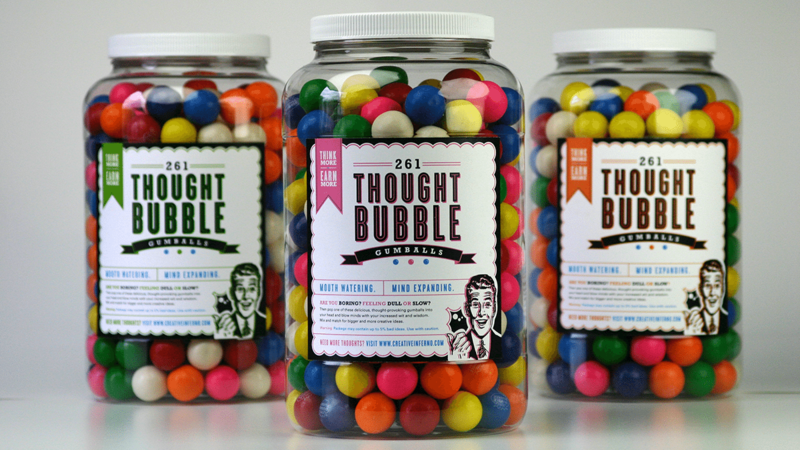 It certainly gave businesses looking for advice on their brand something to chew on. BEGIN DESCRIPTION. Our clients’ mission, if they chose to accept it, was to follow a trail of clues that ended with them receiving an Apple TV. The Black Box promotion served as a great starting point for new conversations and potential projects. 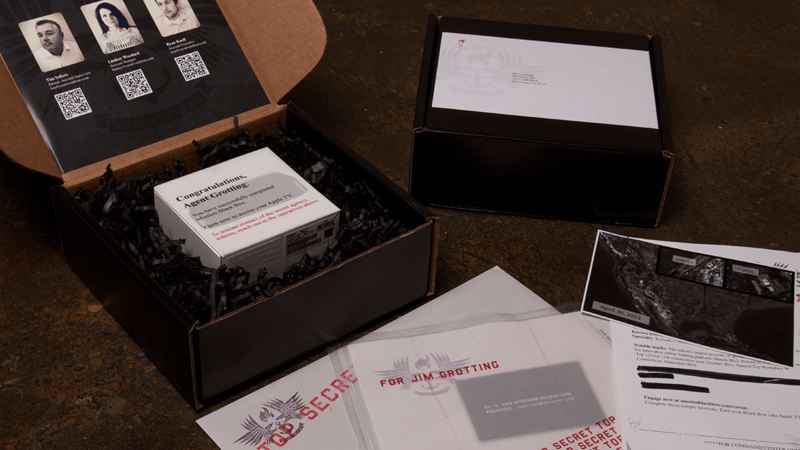 And our clients enjoyed the perks of working with a secret agency. THIS DESCRIPTION WILL SELF-DESTRUCT WHEN THE PAGE CLOSES. There’s nothing more terrifying than a looming deadline. 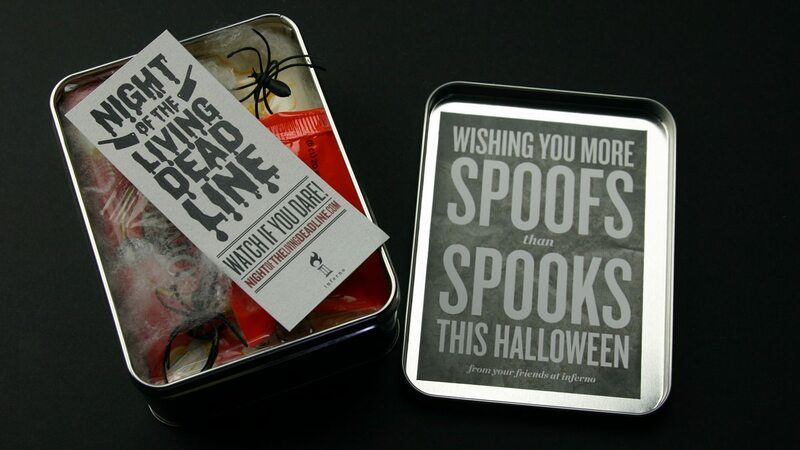 And this Halloween promotion allowed us to give our clients a nice treat while showing them the horrors that lurk in the darkest corners of agency life.